Dnevnik.ru is the first social educational network in the Russian Federation that aims to create a single network for all participants in the educational process, whether school administrators, teachers, students or their parents. Dnevnik.ru makes school life more convenient by creating a tool for efficient and convenient electronic document management, allowing participants of the program to quickly and simultaneously exchange information with each other, as well as be informed of current developments in participating schools. 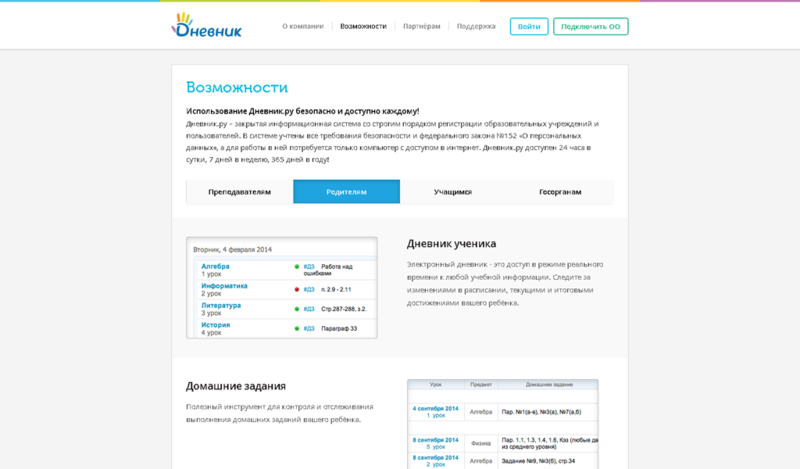 Dnevnik.ru provides real-time information about students' class schedules, grades, and homework assignments, also offering a library and a media library. The program allows schools to create homepages, gives each participant a page and has a thriving -and protected- community. 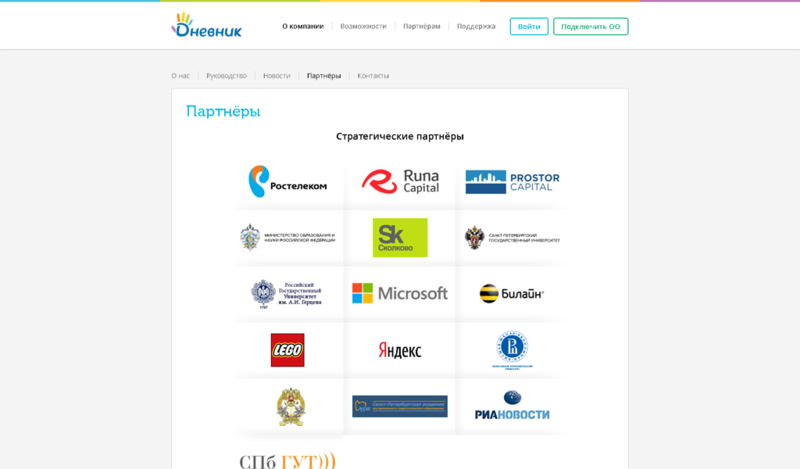 Additionally, Dnevnik.ru houses a large learning resource centre, provides an electronic information exchange system, electronic messaging and distance teaching capability, educational audio and video materials and facilities for creating personal profiles, subject blogs and groups for schools and online learning communities. Since its launch, a large number of St. Petersburg schools and hundreds of thousands of students use the instrument daily.